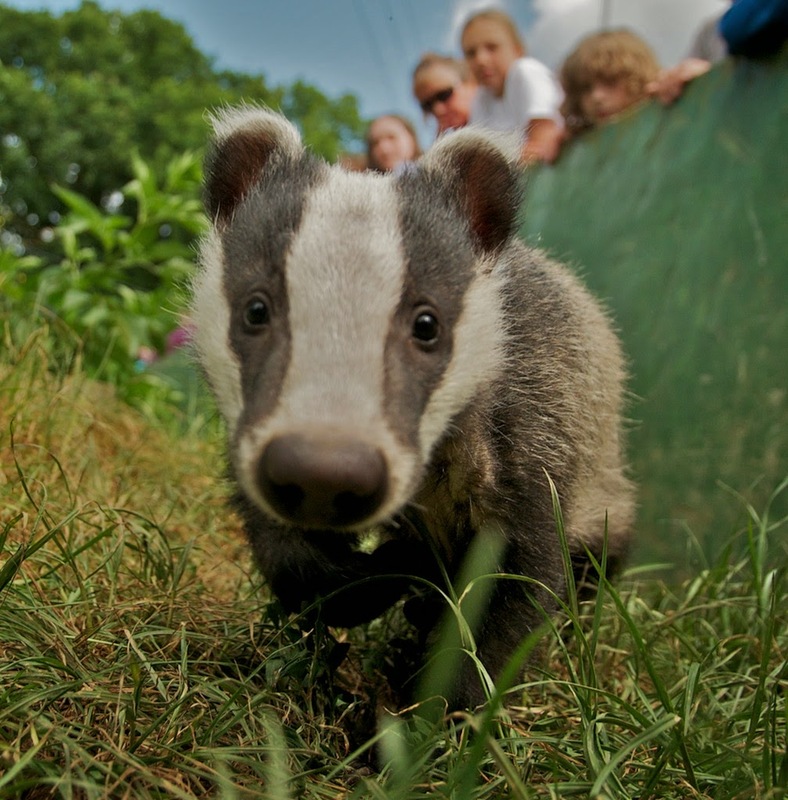 Spare a thought for our British badgers today as the second year of the four year trial cull begins. If you haven't come to this blog from the BWC blog, then head over there to find out more about it. 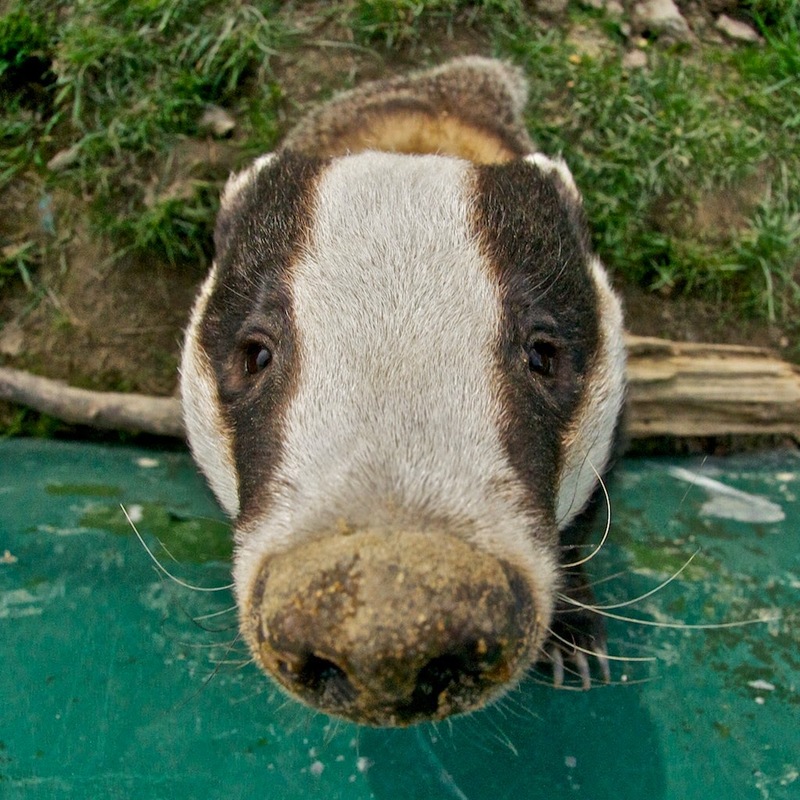 This is just to show off some pictures of badgers without the negativity. 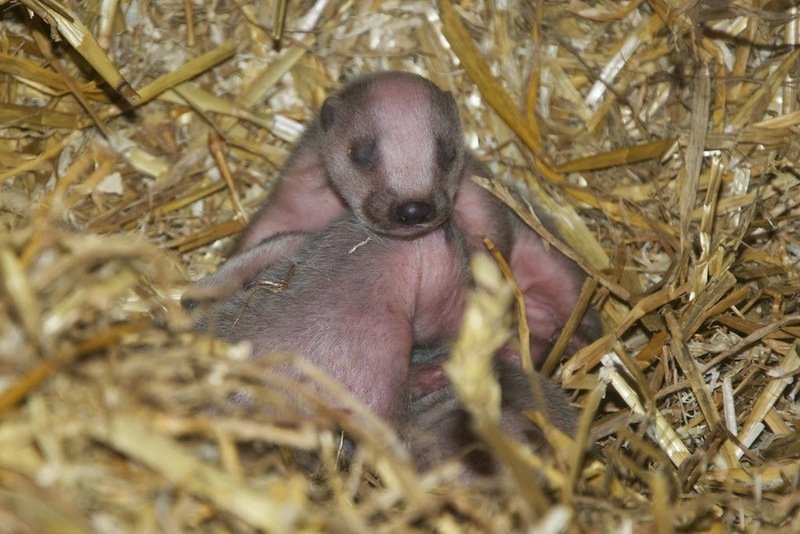 We currently have two badgers at the Centre, above is our female Honey. 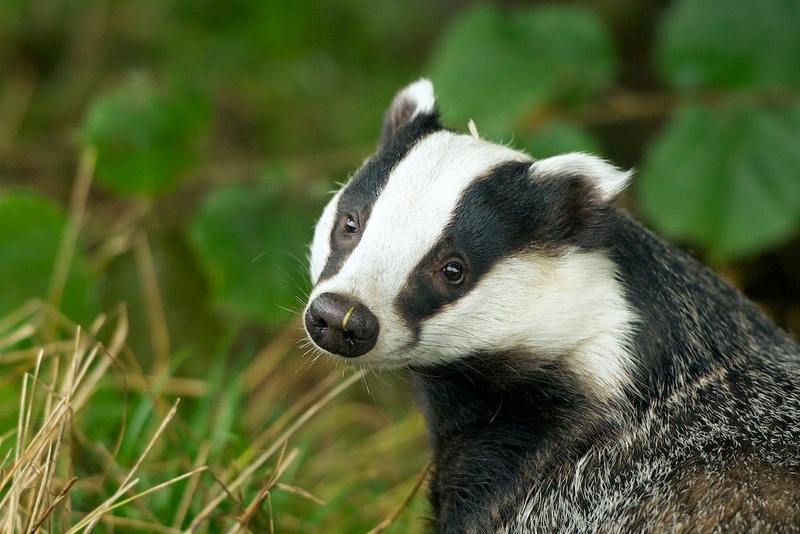 When first discovered they were thought to be a member of the bear family, but are in fact the largest member of the weasel family living in the UK. 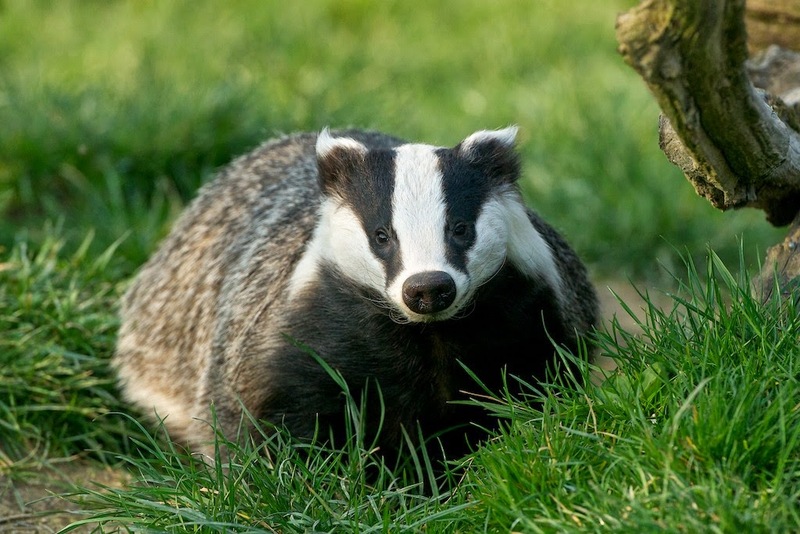 The badger is one of the worlds fastest digging mammals. How did that get in here?.. 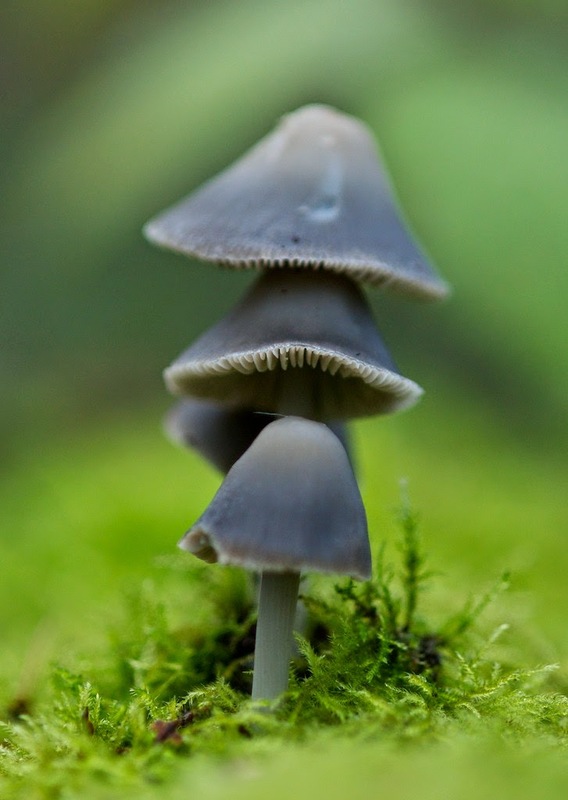 Half of their diet is made up of earth worms, and they can eat over 200 in one night while looking while out foraging. 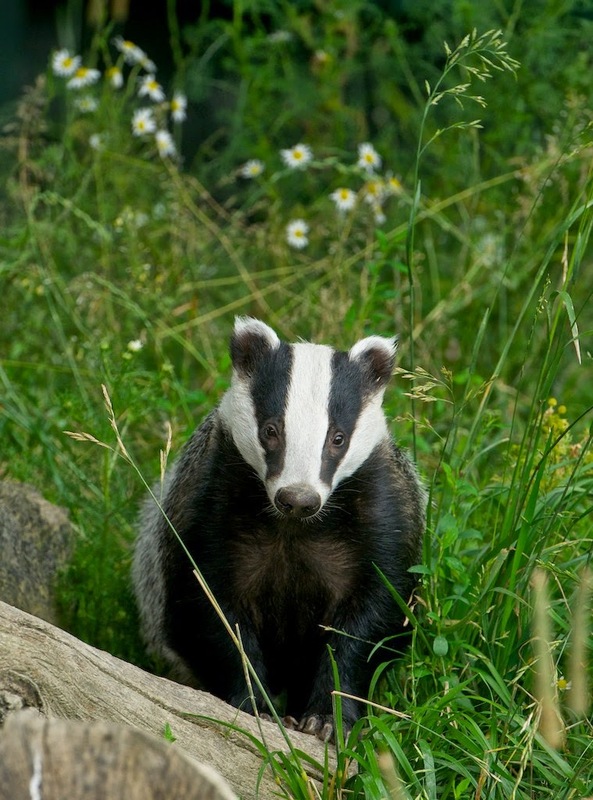 Even from day one they have the classic black and white striped face they are so well known for. It is that classic marking they have that makes them one odour most iconic animals! 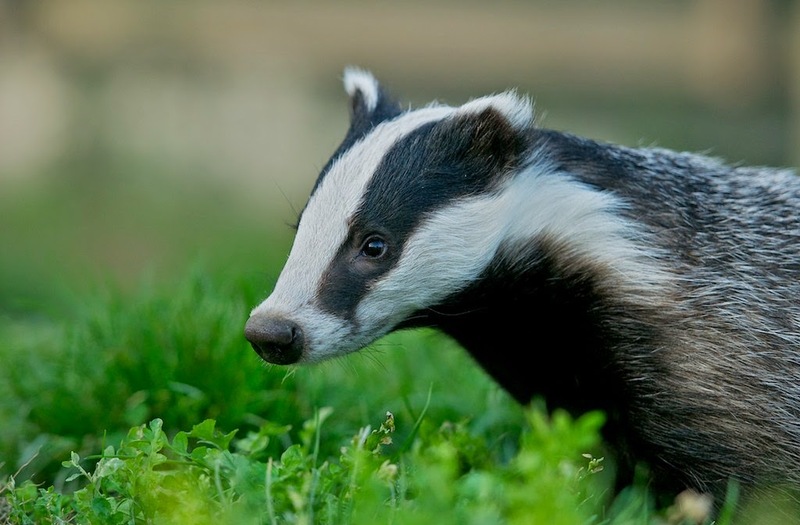 Even if you have never seen a badger before, most people know they have a black and white striped face... and it is the logo of the Wildlife Trusts. 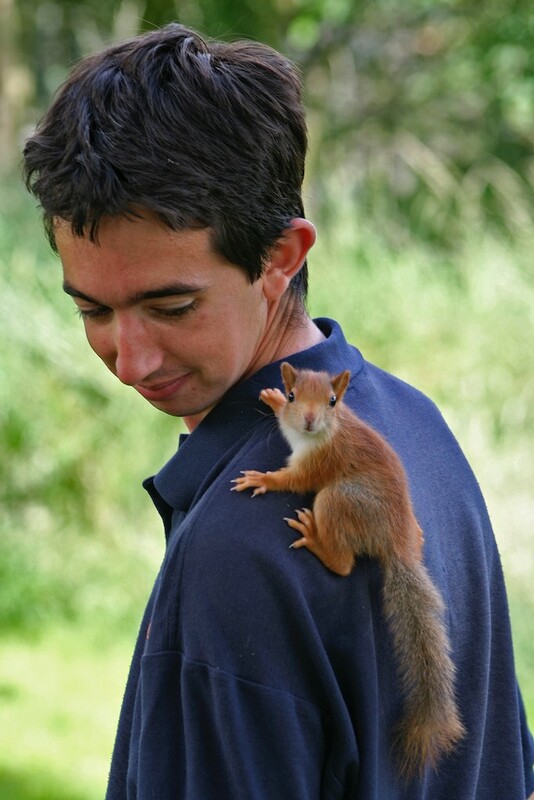 Rarely seen out in the day, they are a very shy, secretive and nocturnal animal. 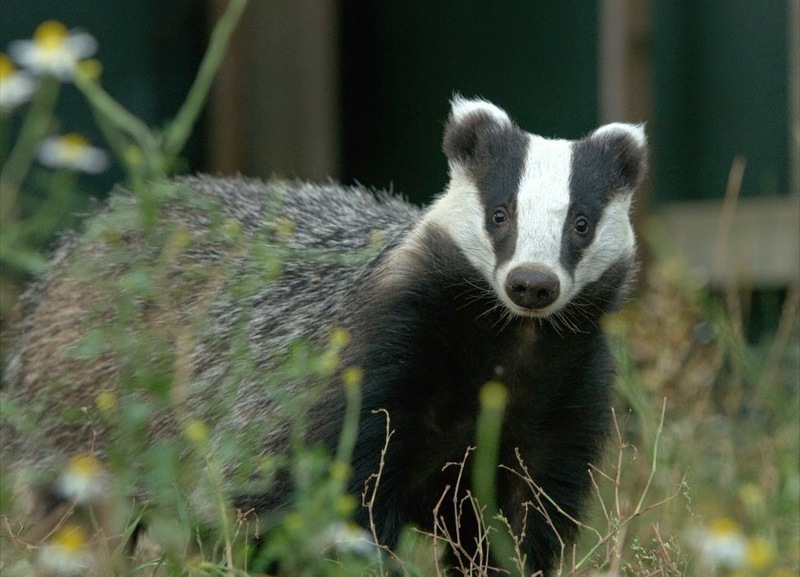 Our badgers having been hand reared come out in the afternoon to forage and play, and are visible in their sett during the mornings and winter. 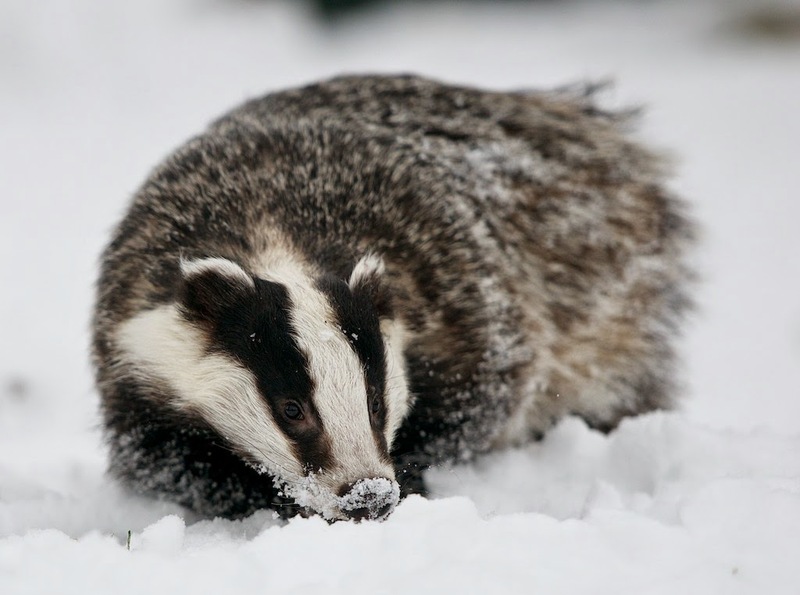 Despite what many think, badgers do not actually hibernate. 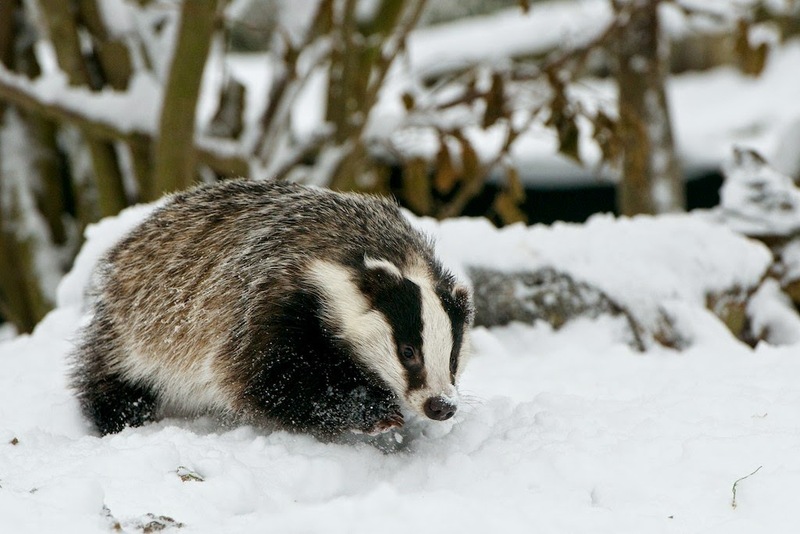 They cut down their activity a lot, and spend far more time underground keeping warm during the winter months, but do still venture out to look for food. 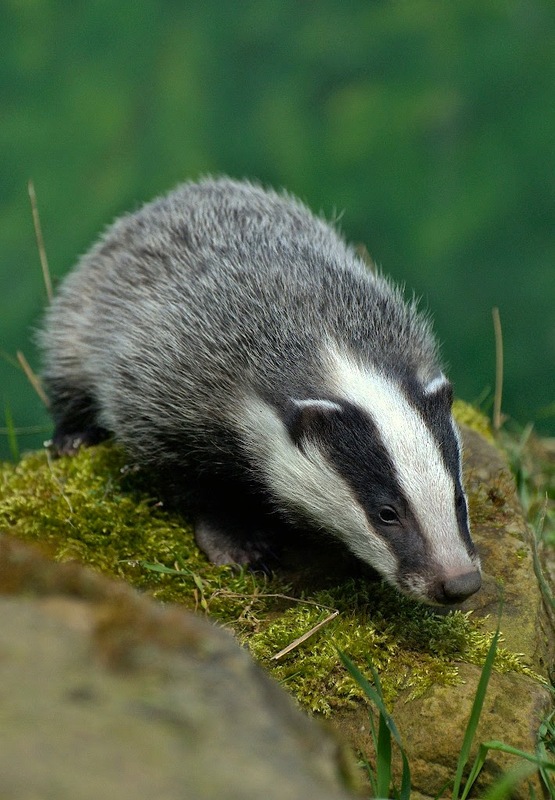 Badgers have a delayed implantation. They can mate anytime of year, but will always give birth early the following year usually around the end of February early March. I had to finish on a fish eye photograph didn't I. It seems the ones I take with this lens are love it / hate it photos.